I recently attended ColorComm Conference in Miami, which Ogilvy proudly sponsors. ColorComm, created by Lauren Wesley Wilson, convenes and supports women of color in communications. I have only lived in the United States since 2015, and although talent, HR and issues around diversity have been top of my agenda for years, I know that the diversity and inclusion debate varies strongly from country to country. When I bought my ticket to ColorComm I had a couple of goals in mind: to educate myself on the issues from a US perspective, to listen to the concerns of attendees, to debate the issues with colleagues and finally to come back to New York with some ideas that I could help implement at Ogilvy. So what did I learn? At ColorComm, I spent 48 hours with 400+ of some of the most talented, inspiring and engaging individuals I have met in my time in the industry. These were people I wanted to pitch with and work with - people I wanted at my side going into battle. At the conference, I asked our own Chief Talent Officer of North America, Jean-Rene Zetrenne, why is the communications industry only slowly addressing its diversity issues? In his mind, our industry has inadvertently limited its efforts to recruit a more diverse workforce by relegating diversity to a concern that is nearly exclusively important to the HR department - when in reality, diversity is crucial for all aspects of the business. Our industry needs to do better. More C-suite leaders need to be actively involved in promoting diversity on an all-agency level. The fact remains, diversity and inclusion is not just a moral imperative. It is not just the right thing to do, it is the right thing to do for our people, for our clients and for our business. Period. Our staff must be as diverse as the audiences our clients and their brands are trying to reach. We cannot claim to know an audience if we are not representative of it ourselves. We must lead by example -- both with our clients and across the industry. We must be representative of our clients, the people we sit with at the table designing campaigns. Within our company, we must show our employees that we understand why it is important to build a diverse and inclusive workforce and prove to them we are taking action. Creativity is more vital to great modern PR than ever before, and creativity itself depends upon a collision of ideas. The more diverse the group generating those ideas, the more likely they will come up with one that's a game changer for a brand. Without diverse talent, we almost certainly limit the potential of our work. And what solutions do we need? We need to think far beyond and before the next hire. We need to plan and start early -- by reaching out to students at both the high school and college levels. We need outreach programs that engage more diverse audiences and to create a pipeline of talent for the industry. Once hired, we need to make sure that we retain and foster our diverse talent. And finally, it's not about percentages of the overall workforce: we must look to the future and define success in terms of the percentages of people in senior management and leadership positions. As Lauren kindly said to me in Miami: "It means a great deal to have a CEO like you join the conference. 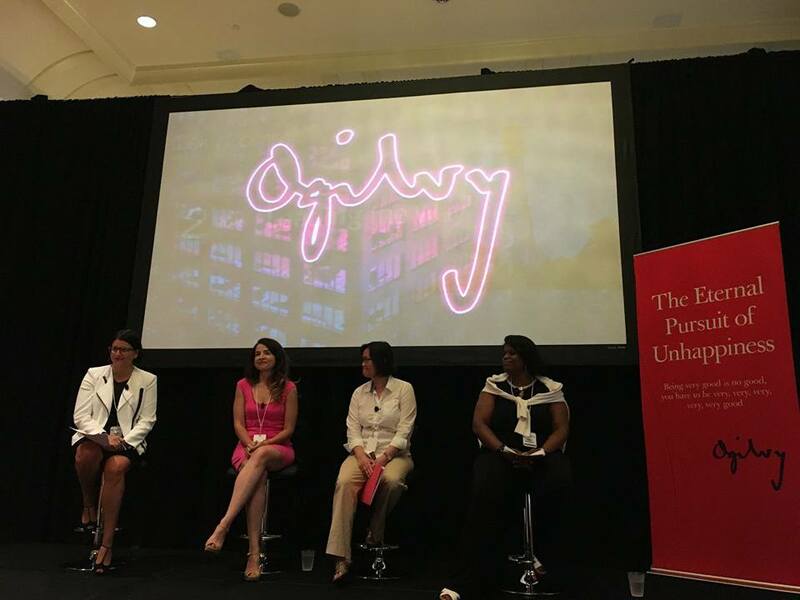 It sends a message to the industry that Ogilvy is leading the way towards change and understanding. This conference is not just for women of color as we understand diversity. This conference is for all races and demographics to learn how to better move the industry forward with diverse teams and a diverse workforce." Well to Lauren, and all the wonderful women I met at ColorComm, thank you for welcoming and educating this Englishman in New York. Your time doing so will not have been wasted.